Clark memorial bridg. A vertical view of the clark memorial bridge over the ohio river betwen louisville, ky. and jeffersonville, in. 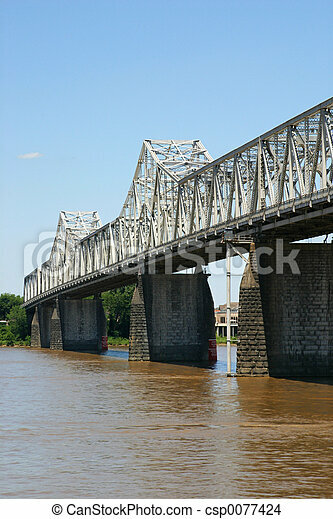 a vertical view of the clark memorial bridge over the ohio river betwen louisville, ky. and jeffersonville, in.